If you are still on Dynamics GP 2013 or an earlier version, you should consider scheduling an upgrade as Microsoft ends mainstream support for GP 2013 on April 10, 2018. With this, you will no longer receive year end updates and there will be minimal support for this version. GP 2013 will then move into extended support until April 11, 2023. You need to be extra cautious before attempting an upgrade, as the system requirements vary for different customer profiles. This can result in upgrade failure that leaves devastating impact. Also, be sure to maintain a backup and then run a full test upgrade on a different system before going for the live upgrade. 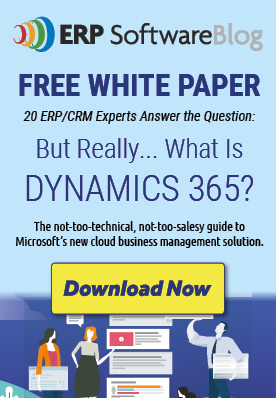 These links provide the minimum client hardware requirements, server recommendations, and Terminal Server minimum hardware requirements supported by the Microsoft Dynamics GP Technical Support Team. The following server recommendations are not minimum server requirements. The requirements and recommendations are based on experience with many different installations. Users may need to increase these requirements due to environmental factors to achieve individual performance expectations. Review each Customer Profile below to determine what profile best fits the user count, modules used, and transaction volume for your environment. Use that Customer Profile as a recommendation for your server hardware implementation. If you are already using Microsoft Dynamics GP and are actively considering an upgrade to the cloud, contact us today to find out how we can make it easier for you!